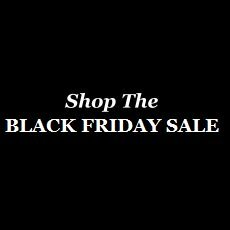 Join us at our new space for the Annual Black Friday Sale!! This exciting day will feature "Just Not Perfect" showpieces with incredible savings up to 65% (sometimes more!) off retail. "Just Not Perfect" showpieces consists of factory seconds, samples, photo shoot items, etc. Complimentary refreshments will be available. Shop with a cause on Black Friday! Receive 10% OFF any one handbag by simply making a contribution to Handbags of Hope by donating the following items: gently used handbag and/or an assortment of filler items such as wallet, hairbrush, hand sanitizer, manicure set, lip balm, tissue, hand lotion, travel size shampoo, etc. If you're unable to make to the Annual Black Friday Sale at our Design Headquarters | Showroom, you can still take advantage of great savings (plus free shipping) by visiting our Clearance Room page. This page features a small selection of "Just Not Perfect" showpieces that have been used on display and are new and unused.